Lee Kong Chian Faculty of Engineering and Science (LKCFES) Deputy Dean (Academic Development & Undergraduate Programmes) Prof Ir Dr Goi Bok Min was one of the 34 research scientists to receive the 2014 Top Research Scientists Malaysia (TRSM) award, given by the Academy of Science, Malaysia (ASM). YAB Prime Minister Datuk Seri Najib Abdul Razak conferred the 2014 Top Research Scientists Malaysia (TRSM) award on these 34 research scientists at the JW Marriot Hotel, Kuala Lumpur on 8 December 2014. 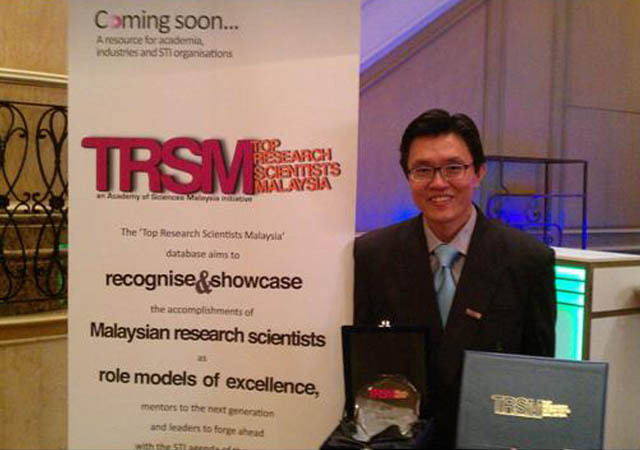 The Top Research Scientists Malaysia (TRSM) Award is an ASM initiative which aims to foster a culture of excellence in Science, Technology and Innovation (STI). The initiative aims to recognise leading research scientists in Malaysia, to acknowledge their contributions and showcase the accomplishments of Malaysian research scientists as role models of excellence, mentors to the next generation and leaders of the STI agenda of the country. Prof Goi also received his certificate and trophy from the Science, Technology and Innovation Minister Datuk Dr Ewon Ebin and ASM President Tan Sri Dr Ahmad Tajuddin Ali. 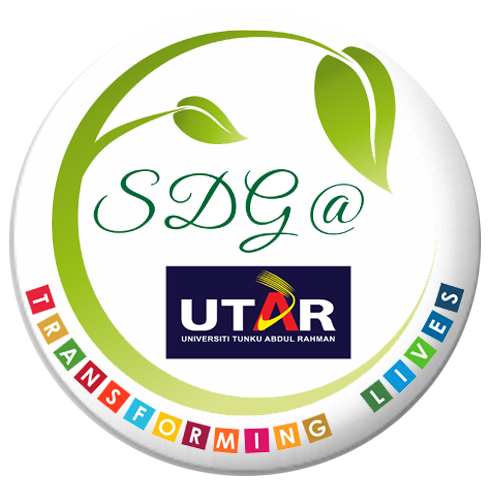 Prof Goi is also the Chairperson for the Centre for Healthcare Science and Technology at UTAR. Related to the area of technology, one of Prof Goi’s main research areas is Cryptology, which is the best solution to the strong need to guarantee the security of sensitive information processed and communicated electronically, in terms of confidentiality, authentication, integrity, availability and non-repudiation. Since 2001, Prof. Goi has designed and proposed several secure and efficient cryptographic algorithms and security protocols, e.g., PCIHF (a new incremental cryptographic hash function), MaTRU (a new NTRU-based cryptosystem), CSS (an efficient certificateless Signature Scheme), PEKS (efficient encryption with keyword search) and (fuzzy) IBI & (hybrid) IBI (identity-based identification schemes), cancellable biometric security system, etc. At the same time, he and his team have also cryptanalyzed and broken many so called “secure” cryptographic security schemes, especially the PAKE (password-based authenticated key exchange protocols), BSW (buyer-seller watermarking schemes), watermarking schemes and etc. Furthermore, with his strong background and knowledge on embedded systems design and telecommunication, Prof. Goi examines not only the security aspects of algorithm designs but also the secure & fast implementation of crypto algorithms in smartcards, GPU, FPGAs and (wireless) communication networking. Prof. Goi’s research would contribute towards the development and advancement of knowledge, especially in the field of cryptology and information security. Hence, his research would help to make our information systems more secure and resilient andcontribute to Malaysian cryptographic community. Since 2012, a total of 96 active research scientists have been selected to receive the award. Refer to http://www.mytopscientists.org/v2/Default.aspx for more details.